From I-20, take Kennedale and Mansfield exit. Go all of the way past Kennedale. The first red light after Kennedale is Turner Wernell. Turn left at the light. The first street on the right is Bryson Road. 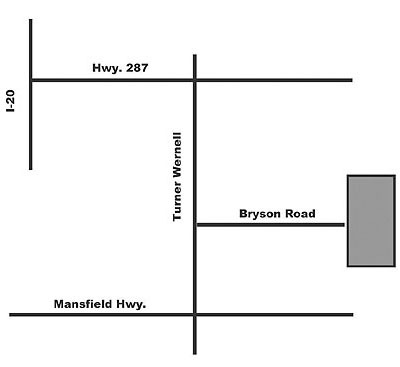 Turn right onto Bryson. Follow Bryson all the way to gate with sign. 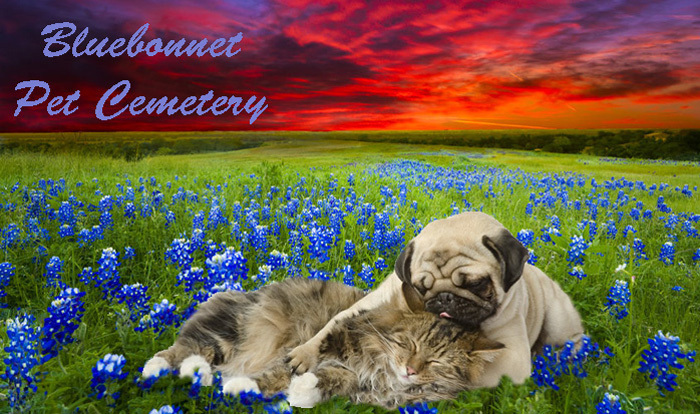 Bluebonnet Pet Cemetery is here to help keep the memory of your pet alive. Bluebonnet Pet Cemetery will always be a Pet Cemetery. Copyright 2015 Bluebonnet Pet Cemetery. All rights reserved.